As the second generation owner and operator of Moyer’s Inc., Jeff has spent his entire life within the green industry. A graduate with honors in Ornamental Horticulture & Business Administration from the University of Wisconsin-Platteville, Jeff honed his professional skills in preparation of bringing back the most current practices to the family business while maintaining the honest work ethic of craftsmanship within the landscape industry. 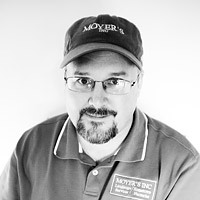 As current CEO & Vice President of Moyer’s Inc., Jeff strives for continued quality and excellence amongst his team in order to provide the best outdoor living experience for his clientele. Jeff resides in Stoughton with his wife; Emily who is Accounts Executive for Moyer’s Inc. and their three daughters; Addison, McKayla & Alexa. Jeff also proudly serves the Stoughton community by being a board member of the Stoughton Rotary Club and actively serving on the Stoughton Hospital Foundation and Shillelagh Foundation. Kevin’s roots are in the Fox River Valley of Wisconsin. In his free time he enjoys and active lifestyle, the outdoors, music, photography, and spending time with family and friends. 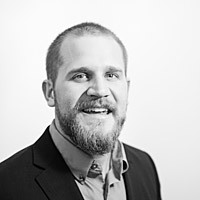 Matt, a graduate of the University of Wisconsin-Madison Landscape Architecture program, has been designing and managing projects at Moyer's Inc. since 2011. Matt has worked in the green industry since 2004, gaining experience in many parts of the state including the Fox Valley and Milwaukee. As a designer for Moyer's Inc., Matt enjoys building great relationships with his customers as he designs custom plans tailored to homeowners' lifestyles and desires, and strives to give them the best possible experience. Matt lives in Stoughton with his wife, Becca, and their three young children. Outside of work, Matt enjoys spending time with his extended family up north at the cottage. Mark brings 25-years of landscape experience to Moyers after his family relocated to the Madison area in 2015. 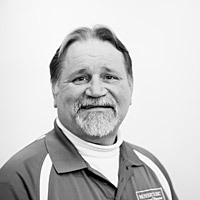 Since graduating from Nicolet Area Technical College with an Associate of Arts degree Mark has worked in the landscape industry since 1992 and has experience in every aspect of the landscape field. Mark enjoys designing landscapes that stand the test of time and works hard to give his clients a vibrant landscape with the lowest possible maintenance. Mark grew up in Rhinelander, Wisconsin, but now lives in Stoughton with his wife Teresa and their three children. In his spare time Mark enjoys volunteering as an assistant wrestling coach for Stoughton High School. Mark also is an avid fisherman and can often be found on area lakes during the summer months. 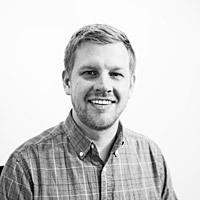 Dave is a graduate of Illinois State University, with a Bachelor of Science in Agribusiness and Ornamental Horticulture. Dave founded Moyer’s Landscape Services in April of 1986 outside of Stanford, Illinois. In April 1990, Moyer’s Landscape Services was relocated to its current location on Starr School Road in Stoughton, Wisconsin. In 1994 Moyer’s incorporated as Moyer’s Landscape Services & Hometown Nurseries Inc. Dave is well versed in all phases of the landscape industry including plant knowledge and etiquettes of landscape design. 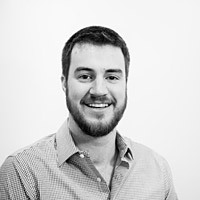 Jeff joined the Moyer’s team in 2014 and has an Associates Degree in Marketing. 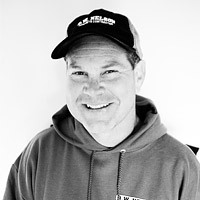 Jeff has been active in the landscape industry since 2000. He works directly with suppliers and customers of Moyer’s Inc. and strives to bring the best service experience to everyone he interacts with. Outside of work Jeff enjoys spending time with family, friends and the great outdoors. David’s career in concrete began at an early age helping his father’s concrete crews. After years of working summers and part-time in the family business, David became owner of D.W. Nelson in the spring of 1981. Today David continues to embrace the founding principles of his father’s business: integrity, passion and superb workmanship. David spends his spare time driving his old cars, spending time with his family and dedicating time to church. He is also is a proud parent of two daughters who continue the family’s Stoughton Norwegian Dancing tradition into its third-generation.